"Employment laws protect employees from discriminatory treatment, unfair labor practices, unsafe work conditions, and more. With thousands of employment law firms and professionals in Boston, this conference will provide practitioners with an opportunity to network and learn from industry experts on critical developments to help better advise clients in this ever-changing landscape. Focusing on important topics like Equal Pay Act developments, minimum wage, wage and hour laws, discrimination issues, and more, this conference will give attendees an update on the new developments in the industry." 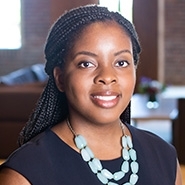 Goulston & Storrs attorney Carla Reeves sits on the Advisory Committee.